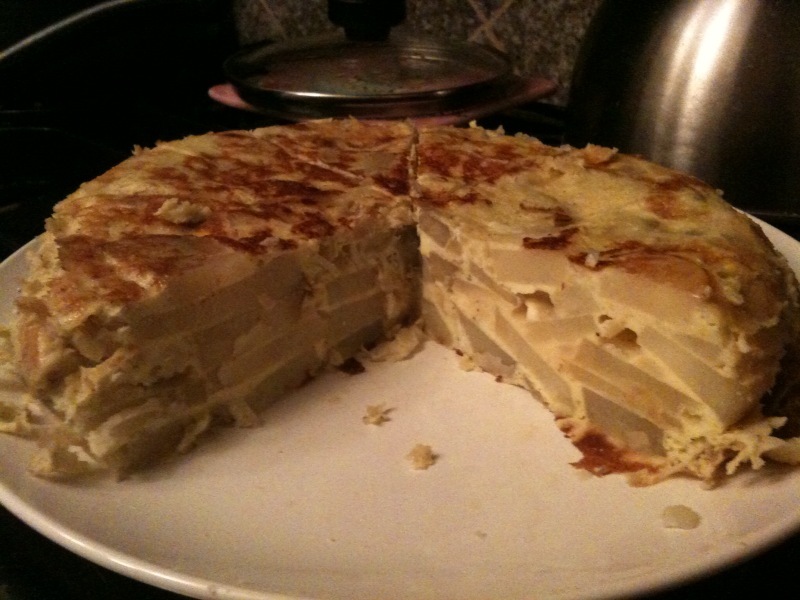 Made this tortilla espanola tonight. It’s basically a spanish frittata made with eggs and potatoes. The recipe is here on epicurious.com. It’s a very time-consuming endeavor, but totally worth it.